Super U.S Run. Solo. Unsupported. Jamie McDonald is running right across America, one step at a time. An unsupported, solo run right across the USA – and a World Record Announcement! 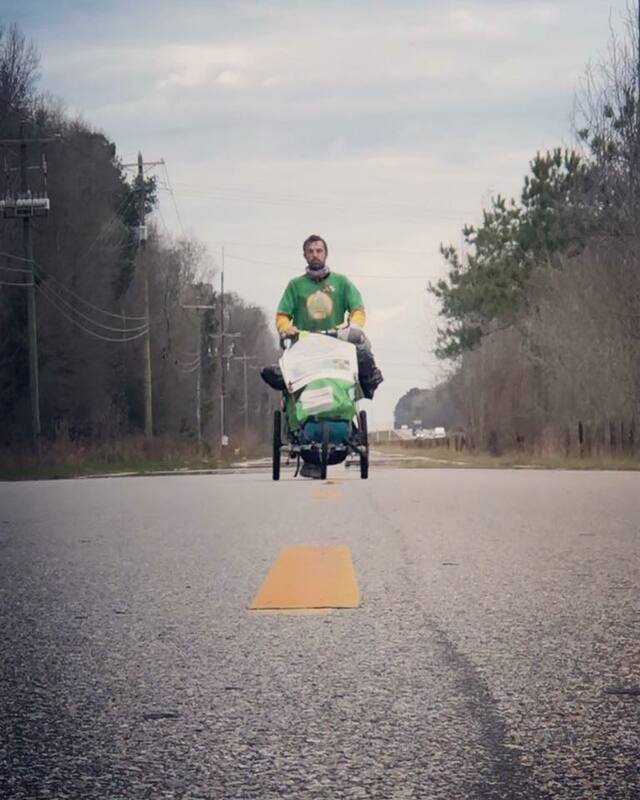 32 year old real-life superhero, world record holder and Pride of Britain Award-winner Jamie McDonald, AKA Adventureman, is nearing the end of his 5,500 mile, 210 marathon coast-to-coast fundraising run across the United States. 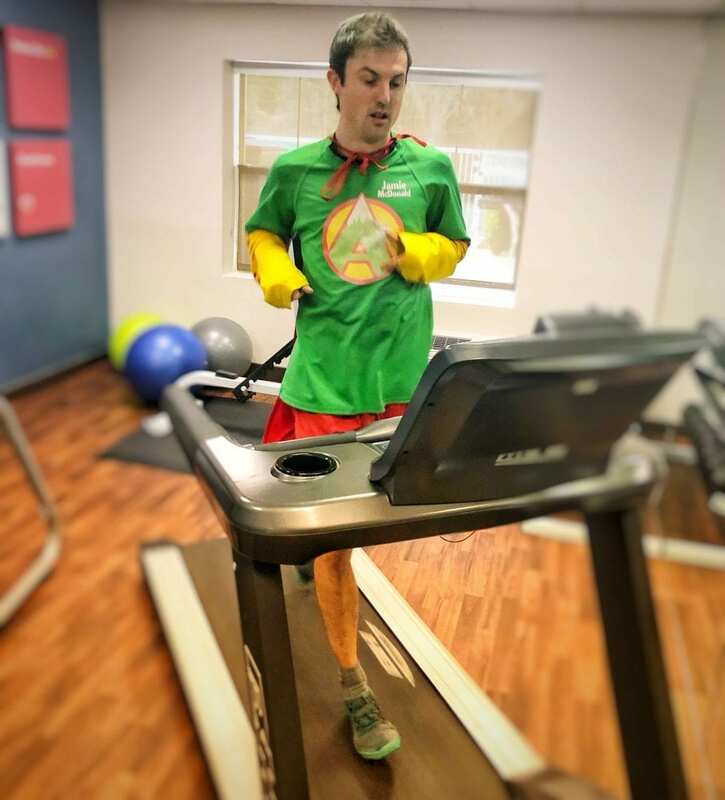 He aims to complete the adventure on Wednesday the 27th March in Gloucester, Massachusetts – and will, just one month later, attempt to break the Guinness World Record for ‘the greatest distance covered on a treadmill within one week’, in his hometown of Gloucester, UK. ‘Adventureman’ has already raised more than $150,000 for sick kids since the start of his epic 210 marathon US run, having set an ambitious $1m target. The fundraising adventurer, who has a rare spinal condition that kept him in and out of hospital as a child, has raised more than $1m for sick kids over the last five years, and hopes to encourage further donations as part of a World Record attempt, just one month after he hopes to complete the US adventure. Having already raised more than $500,000 for children’s hospitals around the world as a result of his headline-grabbing coast-to-coast run across Canada in 2014, which spawned a #1 best-selling travel book, 32-year-old Jamie McDonald has the finishing line of his latest solo country-spanning run in his sights. But beyond that, he has a record very few have attempted on his mind. Jamie, from Gloucester, England, spent the first nine years of his life in and out of hospital with a rare spinal condition; syringomyelia. Combined with a very weak immune system and epilepsy, Jamie’s health was very poor – his family feared he might lose his mobility altogether. At nine years old, and against the odds, his symptoms eased, allowing Jamie to slowly become more active. On the 10th April 2018, Jamie began his second coast-to-coast journey solo and without a support crew at the westernmost point of the United States – Cape Alava in Washington. 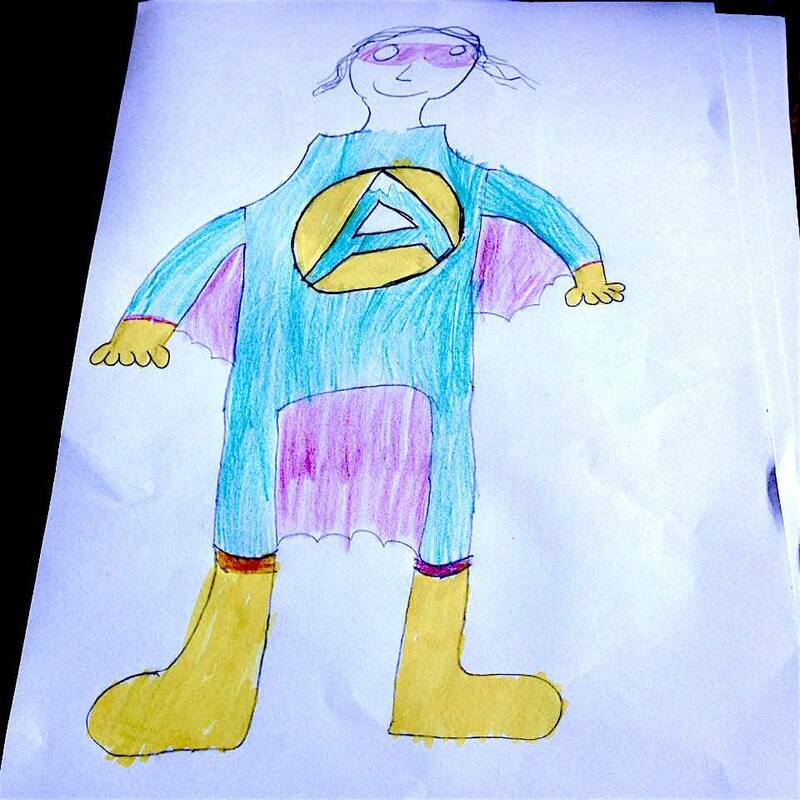 Jamie is running as his alter-ego Adventureman, in just one specially-made superhero costume designed by young supporter Conner Reddy, then just 10 years old. Jamie has been making regular stops at the children’s hospitals he is helping and hopes to inspire people along the way. Having passed The White House in late February, Jamie has run almost 200 marathons as of the 5th April, recently even running 75 miles – just shy of three marathons – in one day. His destination, hometown-namesake Gloucester, is ‘just’ 12 marathons away on the coast east of Boston, in Massachusetts. He has done more than 11m steps according to his tracking watch since the beginning of the adventure. Jamie’s global goal is to ensure no child goes without treatment they need but can’t access or afford. 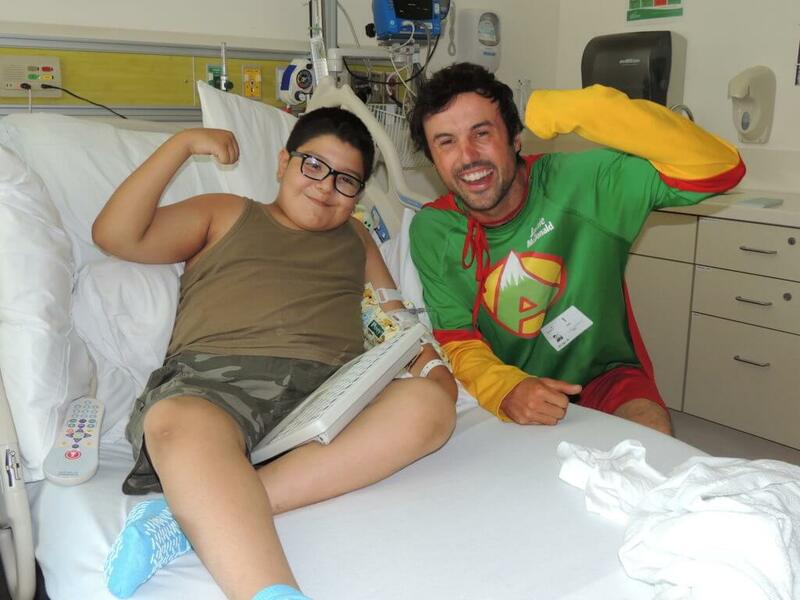 He has been raising money for hospitals in each state he runs through, as well as the registered charity he co-founded and volunteers his time for, Superhero Foundation. It grants money to families for treatment they might not otherwise be able to have or afford, having helped fundraise and grant more than £300,000. In December 2012, Jamie broke the Guinness World Record for the ‘longest marathon static cycle’, cycling in place for more than eleven days. More about that record can be found here. Jamie is running as his alter-ego Adventureman, in a custom-made superhero costume designed by then-10-year-old, Conner Reddy. “This adventure doesn’t end in Gloucester, Massachusetts. It ends in my hometown of Gloucester, in the UK, the second I step foot off that treadmill, another 500 or so miles later. I hope it’s with another world record under my belt, but I have to be prepared for the fact that it might not be. “I will need to run more than 73 miles a day for seven days to even equal the current record. The equivalent of three marathons a day for a week is terrifying, but I’ll never be in better shape to try. For the last four years, Jamie, now 32, has been working tirelessly to give back. He was named as the Pride of Britain ‘Fundraiser of the Year’ for the west for his effort, among many other accolades. In the time since his last adventure, Jamie has co-founded Gloucestershire-based Superhero Foundation, a charity that grants money to families for treatment not otherwise available on the NHS. He has also written the best-selling book ‘Adventureman: Anyone Can Be a Superhero’, the story of his life to this point – no mean feat for somebody that struggles with dyslexia, and retook his GCSEs aged 23. All proceeds from the book go to charity. You can follow along via Facebook, Twitter, YouTube, or Instagram. A link to all the original videos are here via dropbox. Find out about Jamie’s incredible adventure history here.